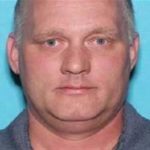 Robert Bowers, the man suspected of shooting 11 people dead at a synagogue in Pittsburgh, faces more than two dozen federal charges for murder, hate crimes and firearms offences. The 46-year-old surrendered to police following the mass shooting at the Tree of Life building in the Jewish neighbourhood of Squirrel Hill. US authorities made clear they believed the attack was motivated by religious hatred. Bowers is known to have held virulently antisemitic views. 3 counts of use and discharge of a firearm during a crime of violence. It is possible that additional charges may be forthcoming.